Mosaic Sample Management software provides workflow management and inventory tracking to enable a seamless, error-free, sample supply chain and comprehensive audit trail. It integrates with a huge variety of other automation and software to bring these into your laboratory workflow and provide a 21 CFR Part 11 compliant audit trail for the entire sample life cycle. Tecan is a leading global provider of automated laboratory instruments and high quality consumables. 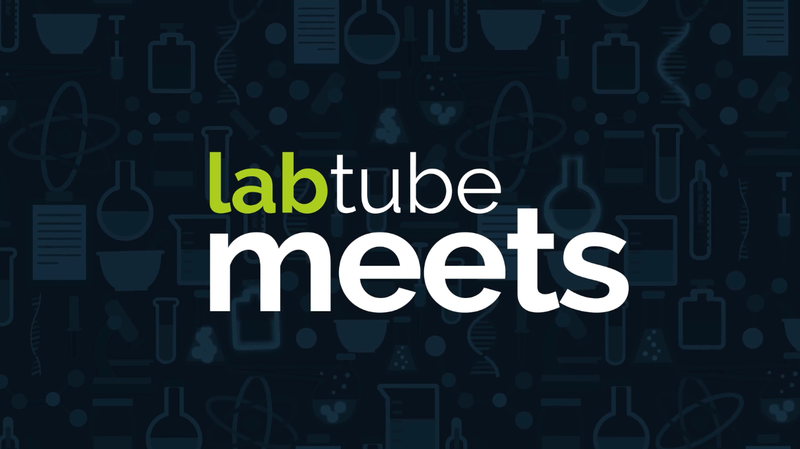 Their systems and components help people working in clinical diagnostics and basic and translational research and drug discovery bring their science to life. In particular, Tecan offers automated liquid handling that empowers laboratories to achieve more. From benchtop dispensers to laboratory automation solutions with a choice of robotic arms and versatile liquid handling tools. Mosaic software will turbocharge your Tecan liquid handler by connecting it with your inventory management for the entire sample life cycle. 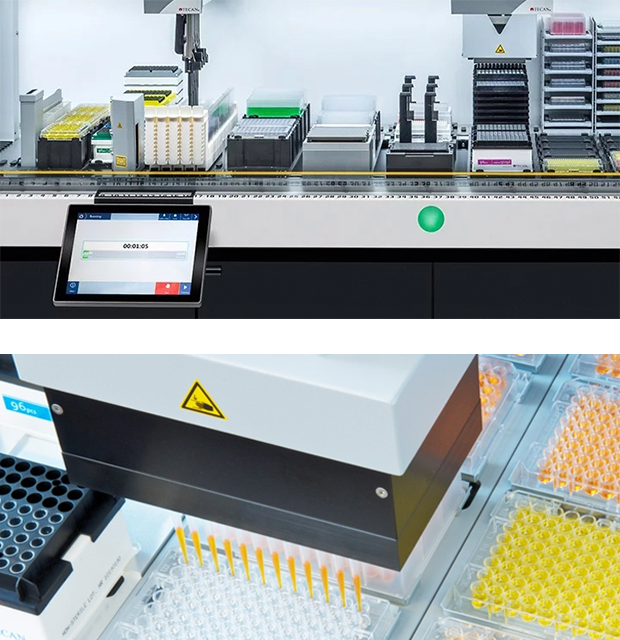 Mosaic SampleBank offers a dedicated integration to liquid handlers with a flexible channel arm, such as the Tecan Fluent® and Freedom EVO®, bringing the benefits of end-to-end sample inventory and workflow management. Mosaic FreezerManagement offers a simple and straightforward integration with Tecan liquid handlers by importing results files. The liquid handler’s files inform Mosaic of each sample transfer and volume change, so the inventory and audit trail are kept updated. Mosaic also automatically logs and updates information on new plates or racks created during a run. 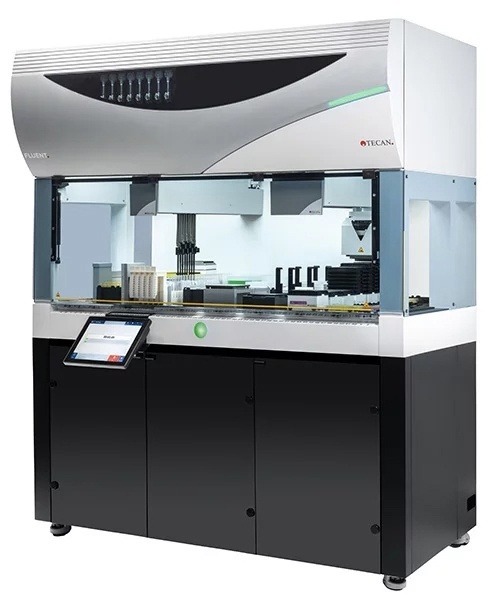 Mosaic SampleBankTM brings the benefits of end-to-end sample inventory and workflow management to the Tecan Fluent® and Freedom EVO® via a dedicated integration. 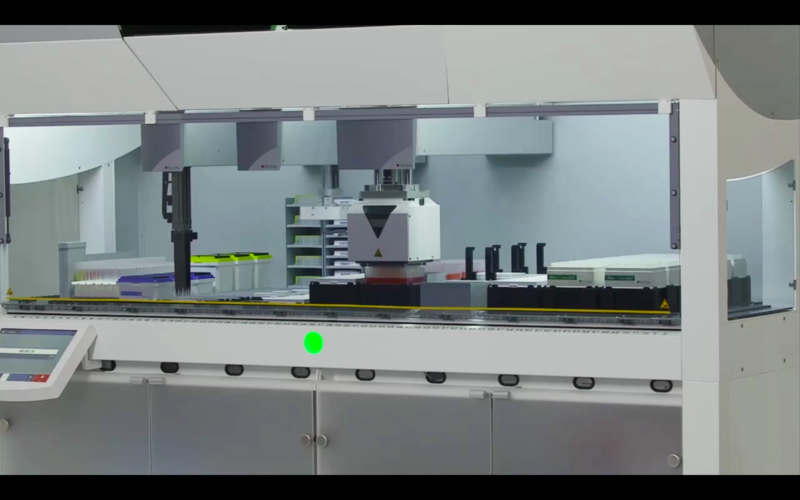 Users are guided through setting up a run on the Tecan liquid handler based on the parameters of the Mosaic workflow, including labware placement, tip selection, and reagent and standard/control positions and volumes. Mosaic validates the run and writes and executes the required Tecan instrument control scripts via a dedicated Mosaic application. Full error handling to allow an operator to safely resume and complete an interrupted run. Mosaic FreezerManagement offers a simple integration with Tecan liquid handlers via the import of results files containing sample transfer information obtained from the liquid handler. Mosaic records the transfers from the source to the destination labware, including volume decrements, and creates the output labware automatically if it doesn’t already exist.